Steve Merril remains white hot after booking his 18th consecutive MLB winner on Wednesday with Rangers vs. Red Sox to go over 10 runs. An 11-6 Red Sox win saw Merril and his clients cash easy. Steve Merril makes BIG $$$ +$60,853 during the past 1+ year! Join today & WIN today! Chase Diamond is coming off a 3-2 day and looks to win the big one tonight with his biggest game of the year to date with a “20* MLB BLANK CHECK” selection. Chase is 168-114 60% in his last 282 MLB TOP PLAYS +31,600 dollars. 100% guaranteed to win tonight. Check out Chase Diamond’s premium packages and subscriptions. 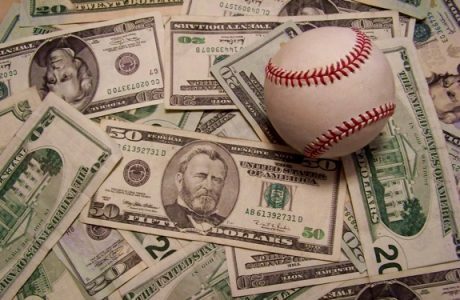 Mike Lundin was hit hard on Wednesday but is still one of our top MLB handicappers and on a sensational 12-4 run with his top rated MLB selections. As a former poker pro, Mike Lundin is not scared to pull the trigger and move ALL IN when he knows he’s got the goods. Don’t miss Mike’s signature bet for MAXIMUM CASH on Thursday as his bashing of the bookies continues with a Top Rated MLB *BIG HITTER*.